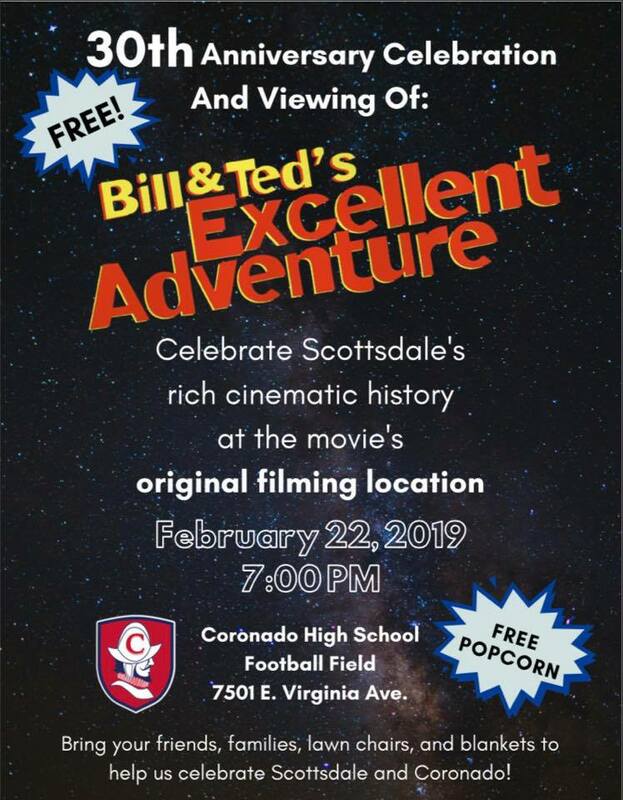 Coronado High School is hosting the 30th Anniversary Celebration and Viewing of: Bill & Ted’s Excellent Adventure on Friday, February 22, 2019 from 7:00-9:00 pm. Join us in Celebrating Scottsdale’s rich cinematic history at the movie’s ORIGINAL FILMING LOCATION! with your name, telephone number, and shift you are available for.